A farmer-led collaborative to support, enhance and accelerate the use of environmentally preferable agricultural practices received a boost with the establishment of the Midwest Row Crop Collaborative. 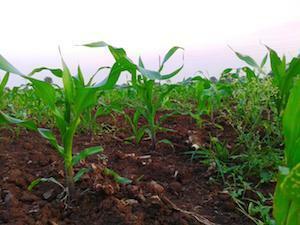 The Soil Heath Partnership (SHP) has joined industry-leading companies and environmental groups including Cargill, the Environmental Defense Fund, General Mills, Kellogg Company, Monsanto, PepsiCo, The Nature Conservancy, Walmart and the World Wildlife Fund. Their main goal is to reduce nutrient loss across the Upper Mississippi River by 45 percent by 2035. The $4 million in new funding will allow over 100 farms to join the 65 farm sites already enrolled two years earlier than originally planned. The three main management practices that will continue with the new collaboration to improve soil health are growing cover crops to prevent erosion and nutrient losses; implementing conservation tillage like no-till or strip-till; and using advanced, science-based nutrient management techniques to reduce nutrient loss.